For me, the answer consists of “Oh I’d probably buy a house in London, maybe an apartment in NYC. 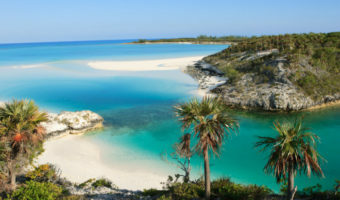 And then I’d quite my job for a few months and travel” – sometimes I’ll actually sit down in front of my computer and actually google hotels and destinations that will probably be out of my budget for years. We can all dream though hey? Pad and I love Australia, and we’ve stayed in The Whitsundays before, but on Hamilton Island instead, a more affordable option nearby. Hayman Island however, is completely private and is just stunning – from the moment I saw the resort on Pinterest it went straight to the top of my to-do list. I mean, just look at it. Right now, Pad and I could afford to visit Hayman Island (and we’re considering it for the honeymoon for a few days) but we’d be in one of their standard rooms. 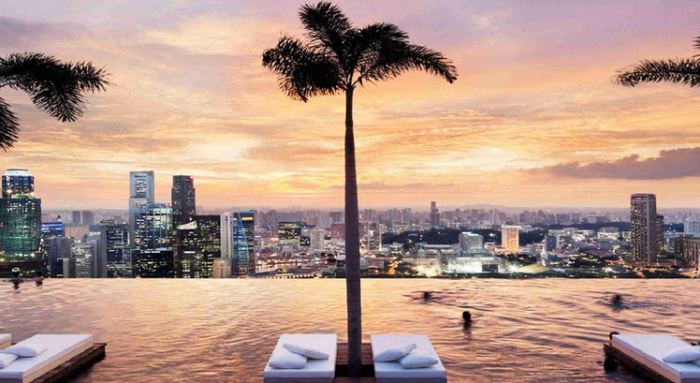 If I won the lottery I’d book a penthouse at the resort. And I’d stay there for like 2 weeks… or a month!? 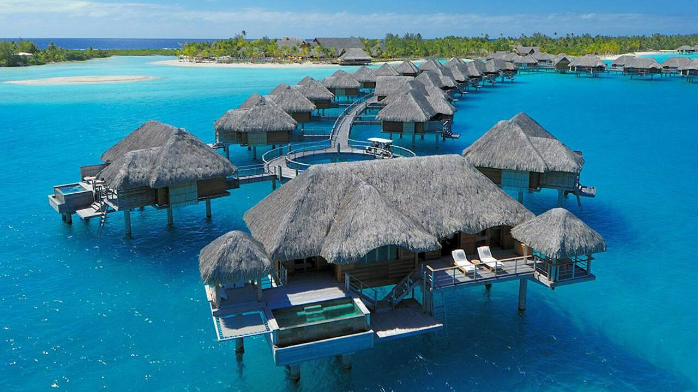 Another absurdly expensive island resort – Bora Bora is literally heaven on earth. 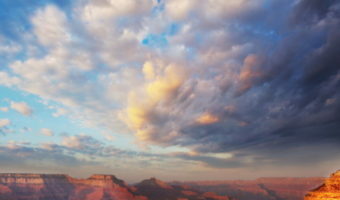 I’ve only ever seen photos, but the photos take my breath away. The turquoise waters, the mountains, the little cabins elevated over the clear ocean – is that not what dreams are made of? If I won the lottery I’d book a whole row of villas (the cute ones over the ocean) and I’d take all our friends and family out for a big holiday. 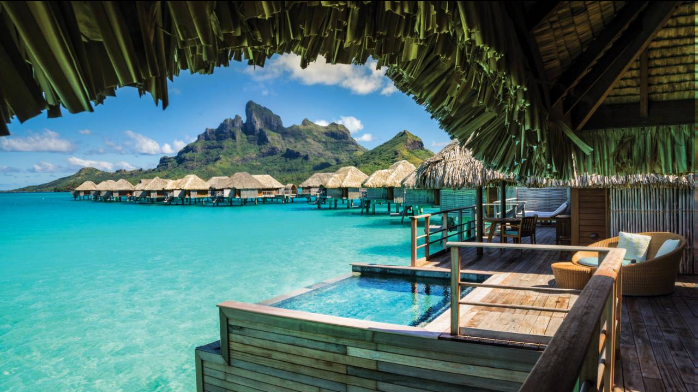 The photos below are from the Four Seasons resort – but I’m pretty sure any resort in Bora Bora is beautiful…! Heck, you could put me in a tent on the beach and I’d be happy. 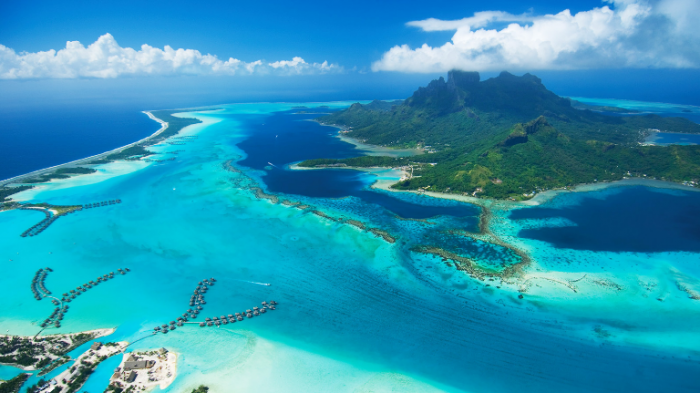 The Maldives are very similar to Bora Bora, but a little more affordable, maybe I’d stop here on my way back from Bora Bora – just to compare. Because, hey, I just won the lottery, I can do what I want. 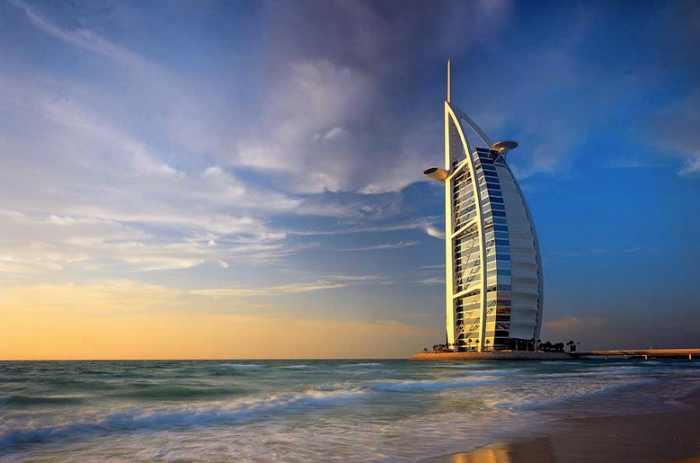 I’ve spent a lot of time in Dubai (my Mum lives there) and I’ve actually been to the Burj al Arab on a couple of occasions for High Tea – which was incredible. The level of luxury and service just for afternoon tea was so high – it had me dreaming about stopping there (for real!!) ever since. It’s the world’s only 7* hotel, so it seems like a pretty obvious choice for a newly made millionaire. 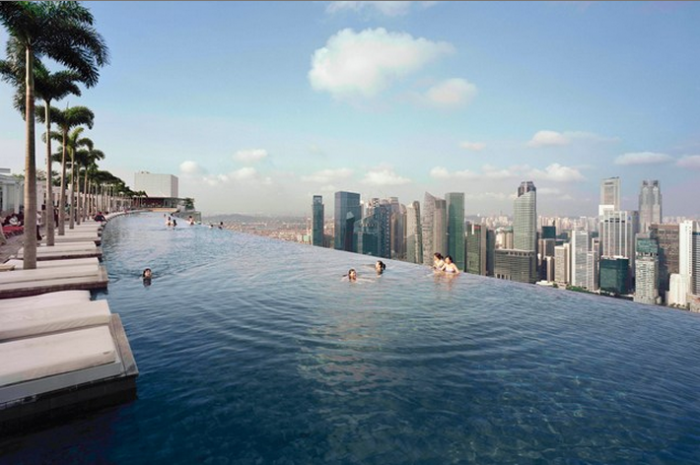 This hotel has been on Pad and I’s wish list for a couple of years now. 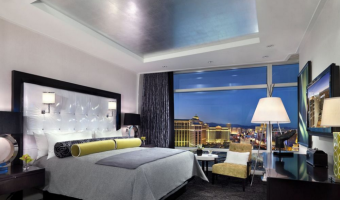 The standard rooms are actually pretty affordable (so one day we will hopefully get to stop there) but if I won the lottery I’d book the best suite they have and maybe book the whole rooftop pool just for the two of us. Where would you go if you won the lottery? Next Post Beautiful Copenhagen! Photos, Photos and More Photos…! Though realistically, I’d probably still do accommodation on a fairly modest budget (though avoiding the really grotty hostels, thank goodness), and use the extra income to transport me to those really difficult-to-reach locations, like Pitcairn Island, or those tiny towns in Greenland and northern Canada that are cut off for months at a time. What can I say, I’m weirdly obsessed with isolated places! The more isolated the better! I almost put Alaska on the list, but I figure I’ll go there lottery or no lottery! Ooo yes! Top of my ‘isolated places’ list right now is Antarctica. I would also love to visit the Faroe Islands. Argh – so many places! Yes! Maybe that could be part of the Antarctica trip…?